Note: Today we are “mashing up” for the second time two classic CrossFit workouts known as “Cindy” and “Grace”. The combination of Ground to Overhead with the gymnastic components of “Cindy” make for a potent session, especially when adding the 800 meter run (or row). How many people can Rx’ todays session (with the run) and bring it home in under 20 minutes? 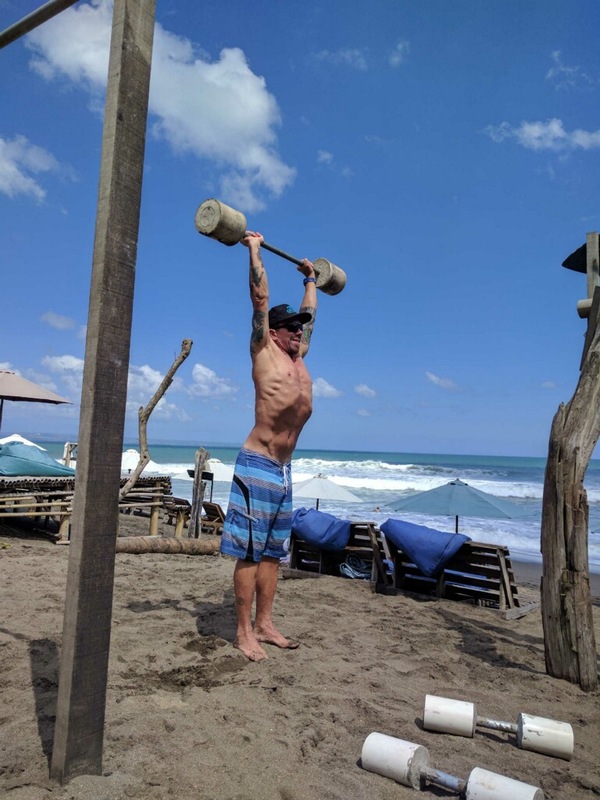 Captain in Bali takes Fitness outside the Box!